My first two finished projects for 2015! One made from knitting and one a complete travesty. Er, I mean sewn. These were finished last Friday (January 2nd) after a mad dash to Spotlight for a bag of stuffing. I accidentally came home with a bag of stuffing, a seam roll, an ironing mitt and a new hook for Charlie’s Rainbow loom. Oops. My truly awesome daughter also bought me a copy of “Gertie Sews Vintage Casual”. I’ll review that in a future post when I’ve had time to have a look at it). Here are some links to it on Amazon and Book Depository, in case you’d like to take a look. (For the sake of transparency, those are affiliate links). So, what have I made? 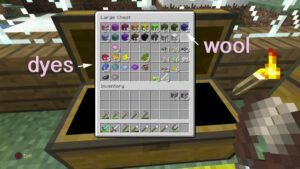 The Minecraft Wool stash. Obviously the most important part of playing Minecraft. Um, not that. 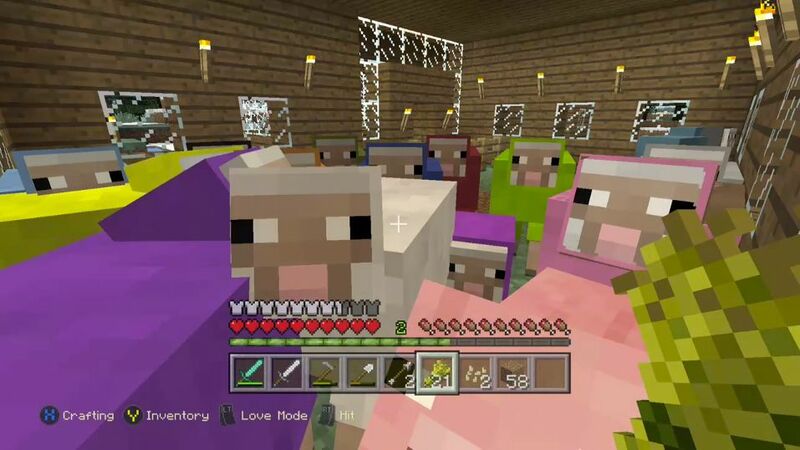 Yes, I have a herd of every colour of sheep in Minecraft and a chest full of stash. Shut up. 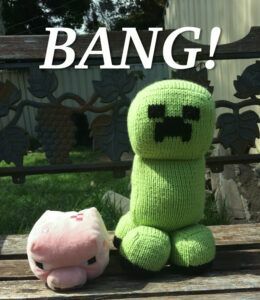 Speaking of Minecraft ~cough~ I knit a Creeper for my son Charlie. Hand knit Minecraft creeper and his friend, Hopper the pig. Now I want one. Except the damn things keep blowing up my house. Heaven forbid they should ever let the sheep out. I used the creeper pattern from Angel’s Knitting Blog, sadly now defunct. I figured out how to do the face by looking at other people’s projects on Ravelry. I’ve made many toys over the years and developed my own techniques for stuffing without lumps. I made this video about it a few years ago, in case anyone would like any tips. Charlie and I also finished this monstrosity charming fellow made from an unfinished (unstarted?) 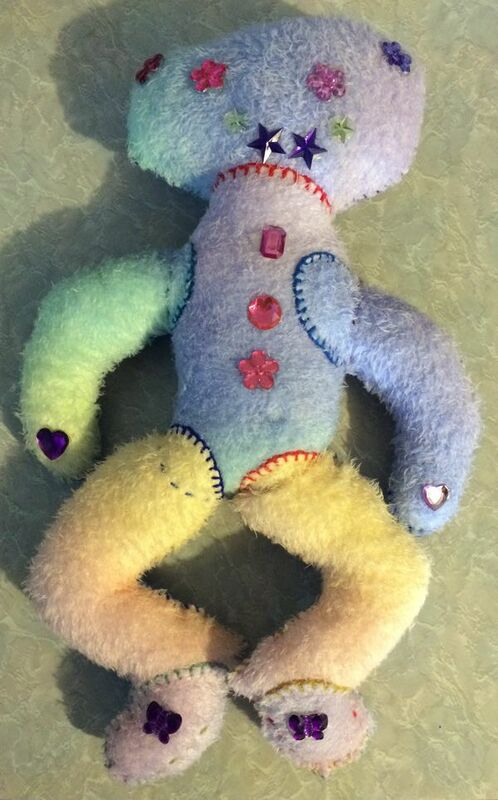 and incomplete teddy bear I found at the op shop. Charlie arranged all the pieces but the fabric was pretty tough to sew so I had the honour of stitching him together. Charlie finished him off by sticking on a range of sparkly plastic thingies for his face, ears and paws. Truly, um, unique. It’s staring at me right now from the seat next to me. I’m pretty sure it’s planning to eat my face. My next project is already in the works, in fact I started it on the Tuesday before Christmas and have been stitching away on it every time the Xbox gets too hot in our Summer heat. Whoops, did I just admit that out loud?